Having trouble with your yoga pose timing? Don’t worry, even seasoned practitioners sometimes lose track of when they need to change a pose. It is inevitable to happen, at least every other meditation. But if you check out this great new app, you will never be left to forget your yoga stance again. 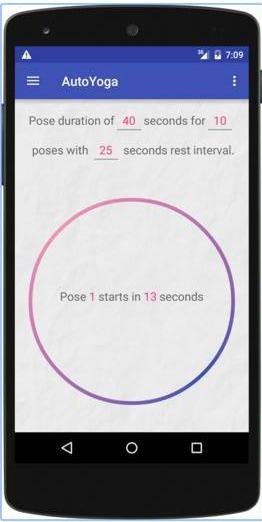 The AutoYoga app is a brand new yoga app that will greatly help out your yoga experience. What makes this app great is that it’s suited for both beginners and advanced practitioners alike. The AutoYoga app has many great features at its disposal. With the app, you can set up the app to gently remind you whenever it is time to change a pose. 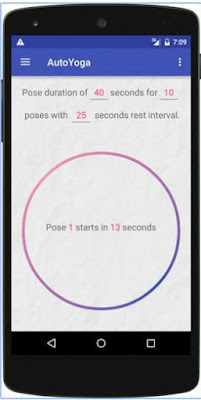 This is great because you don’t have to interact with the app during yoga at all, just set it up before the practice and you’re all good to go. You can customize pose duration, how many poses you’ll be switching, and even give yourself some rest time in between. It has many other great features, and the app gets updated quite frequently. It is available for android users for free. You can find and download AutoYoga for free from Google Play.